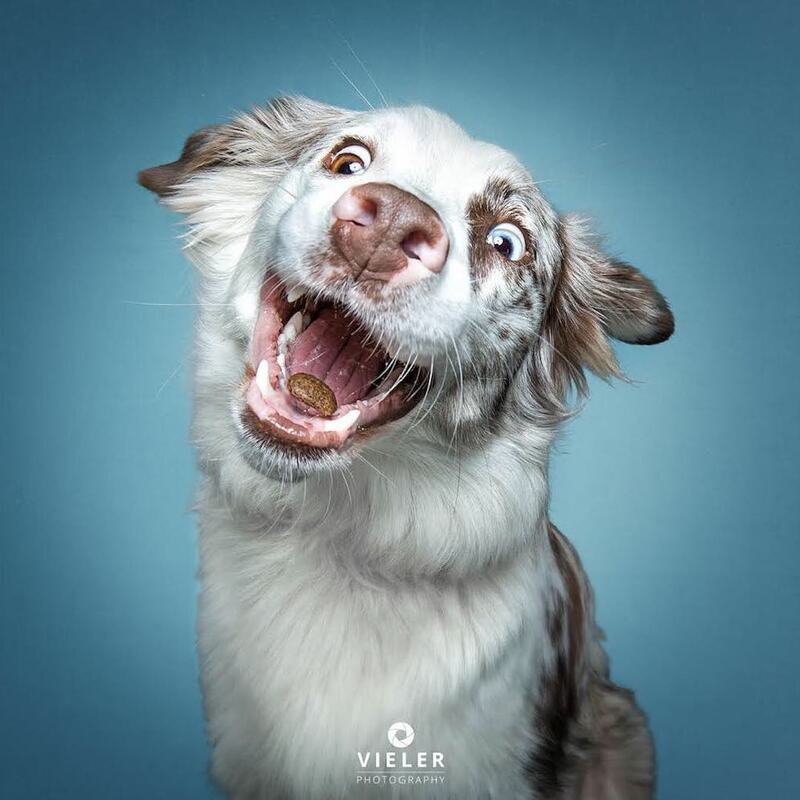 Photographer Christian Vieler has been taking these hilarious photos since 2013. 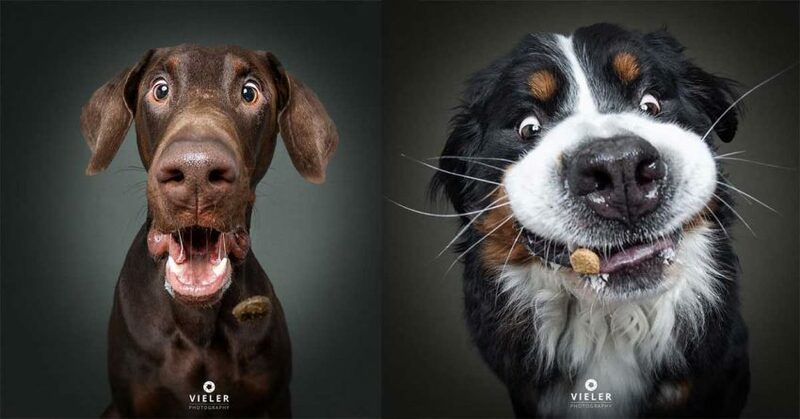 He wanted to test out a new flash for high-speed photography that he had just purchased. 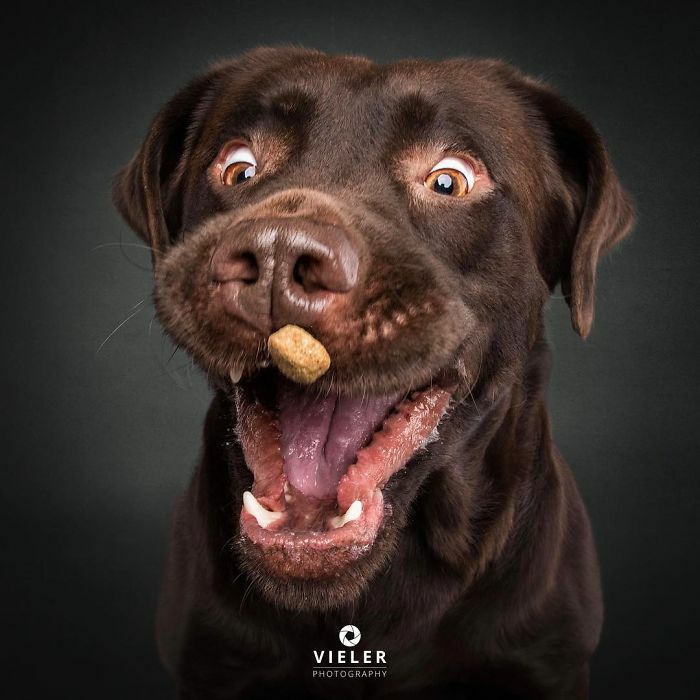 Nobody else was around, so his Labrador Retriever, Lotte, became his first model. 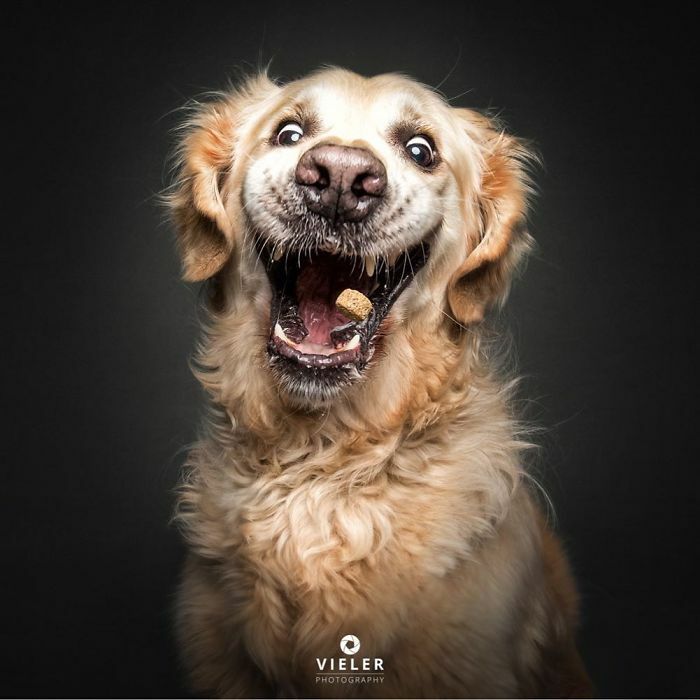 In order to get his dog moving, Vieler pulled a treat from his pocket and tossed it, taking a photo of Lotte in action. 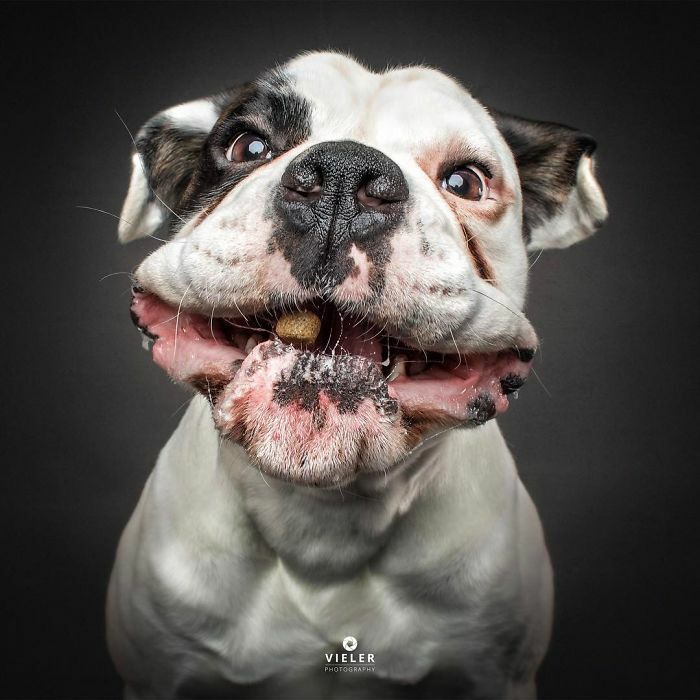 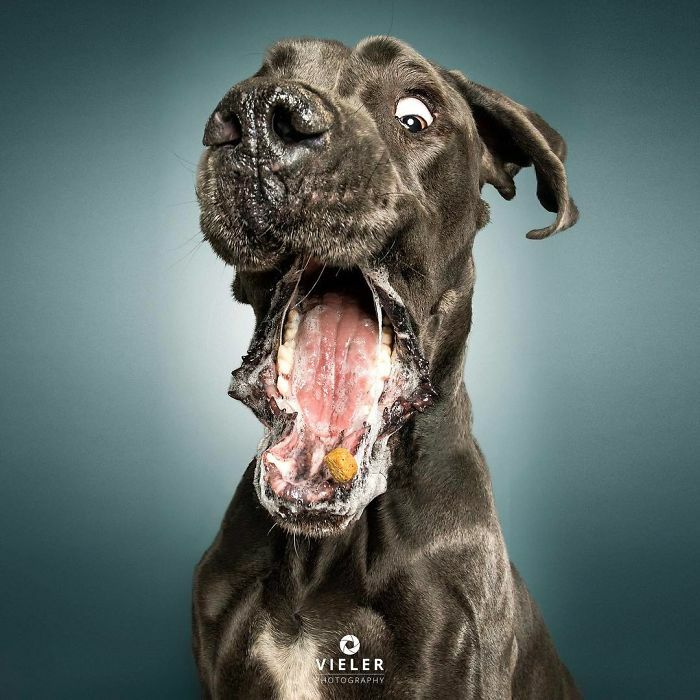 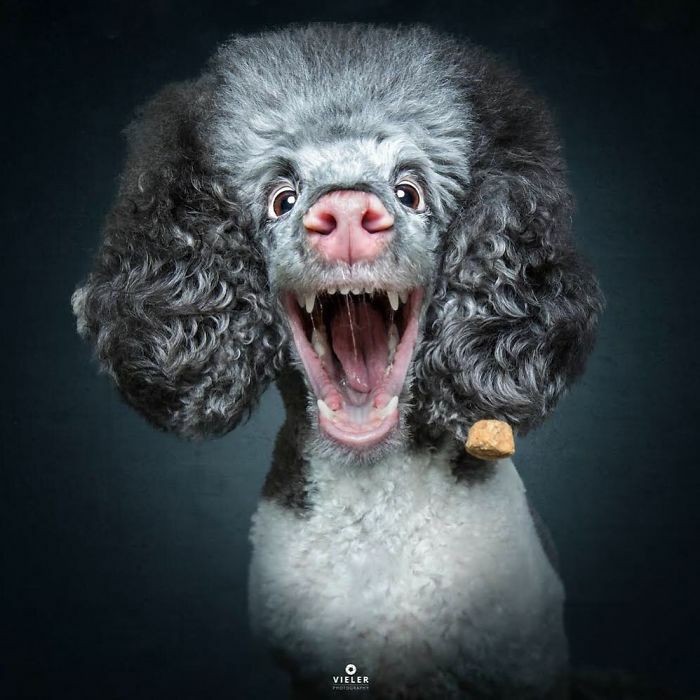 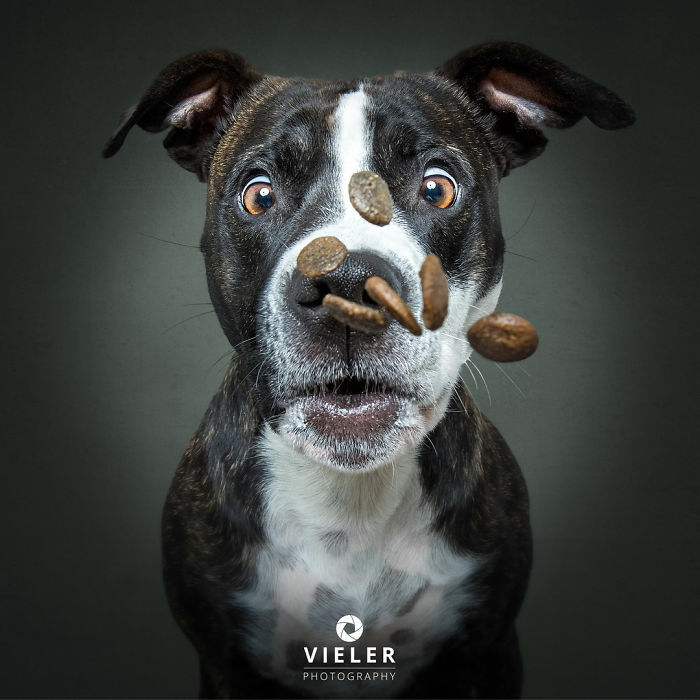 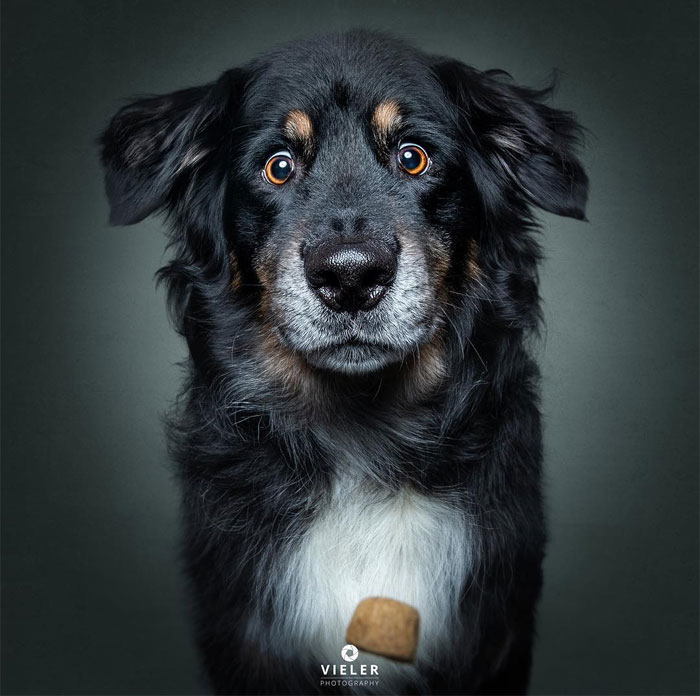 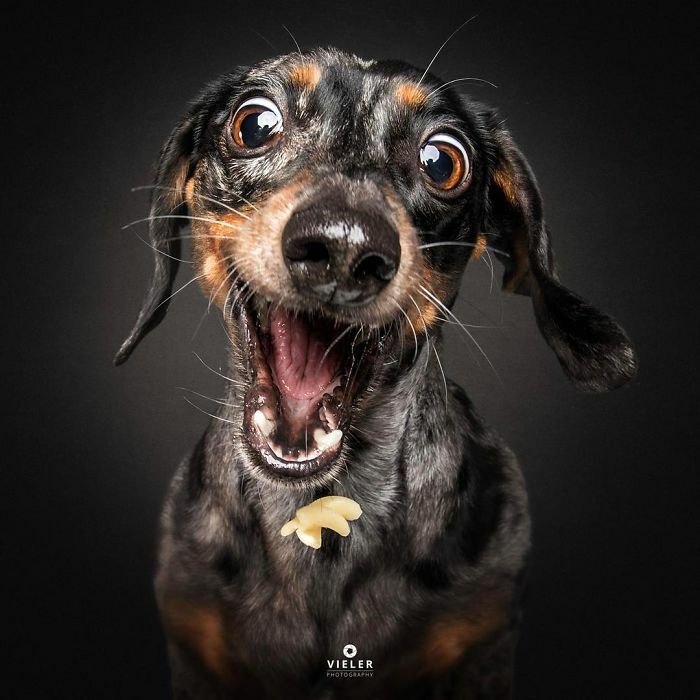 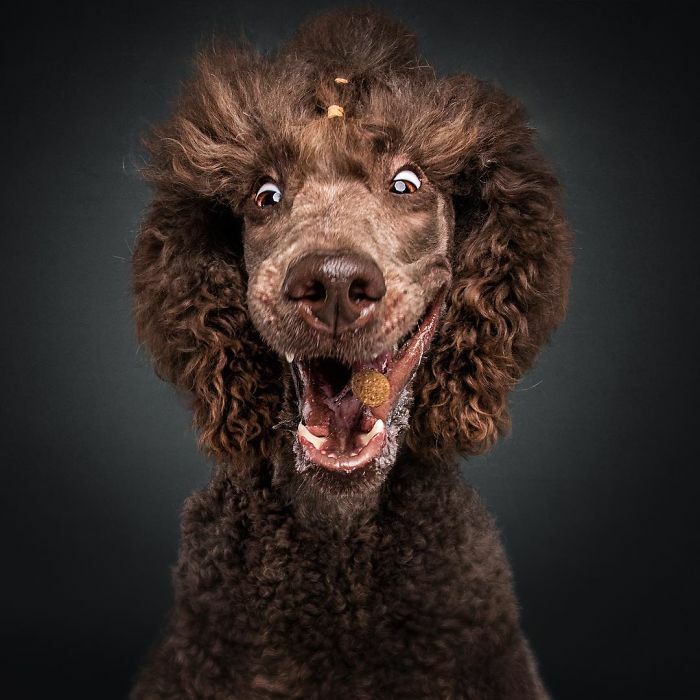 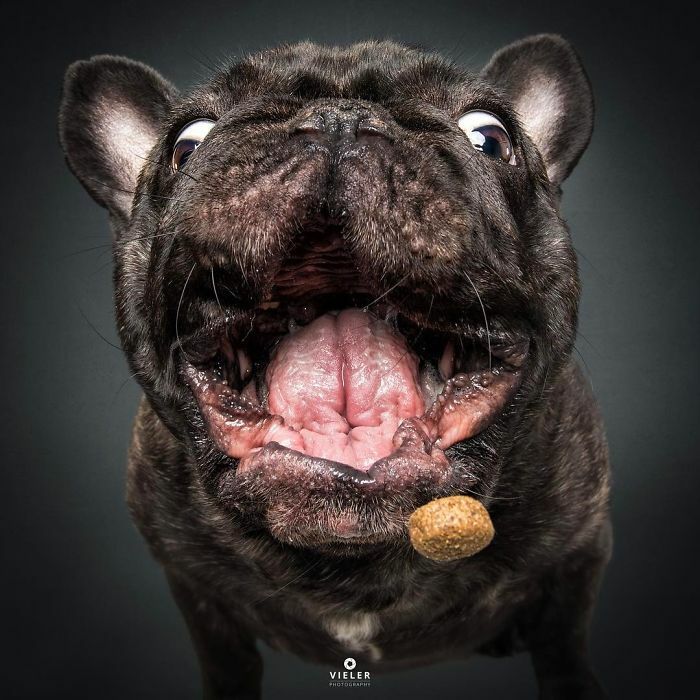 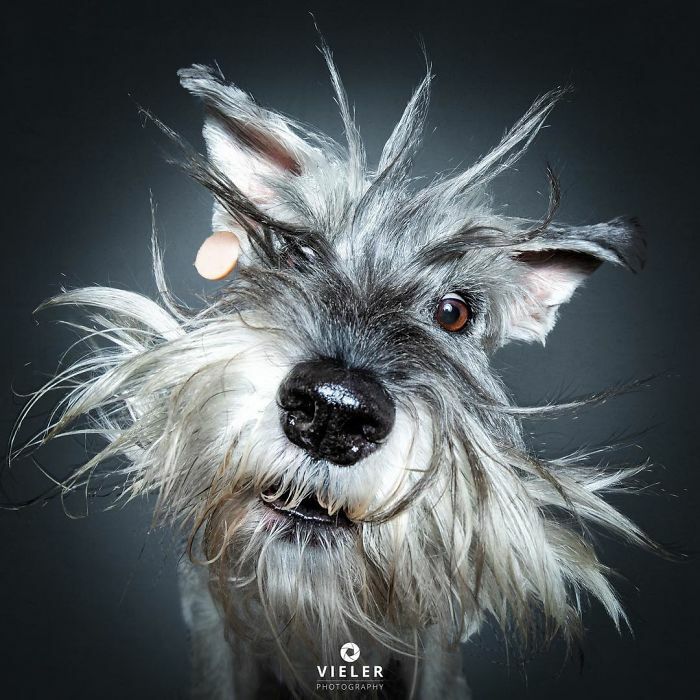 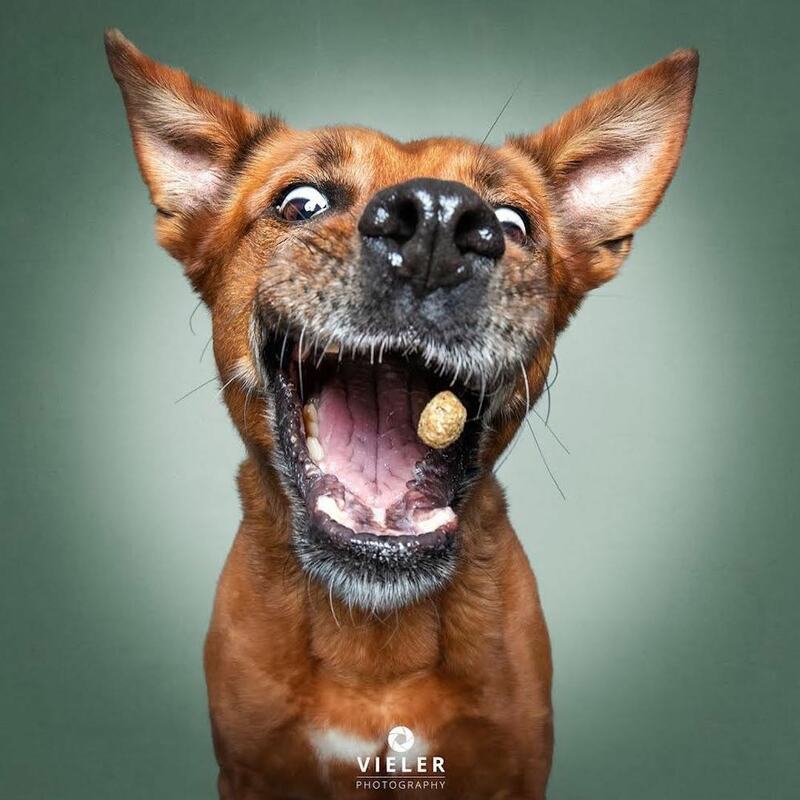 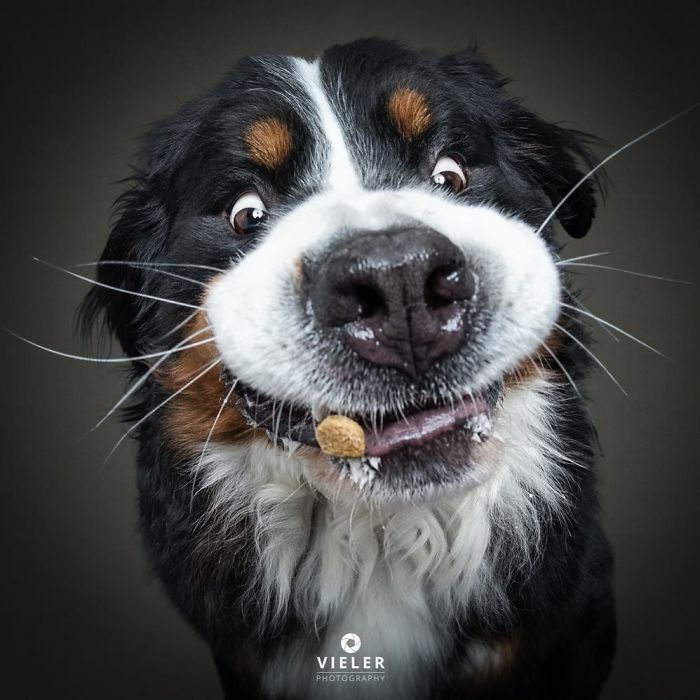 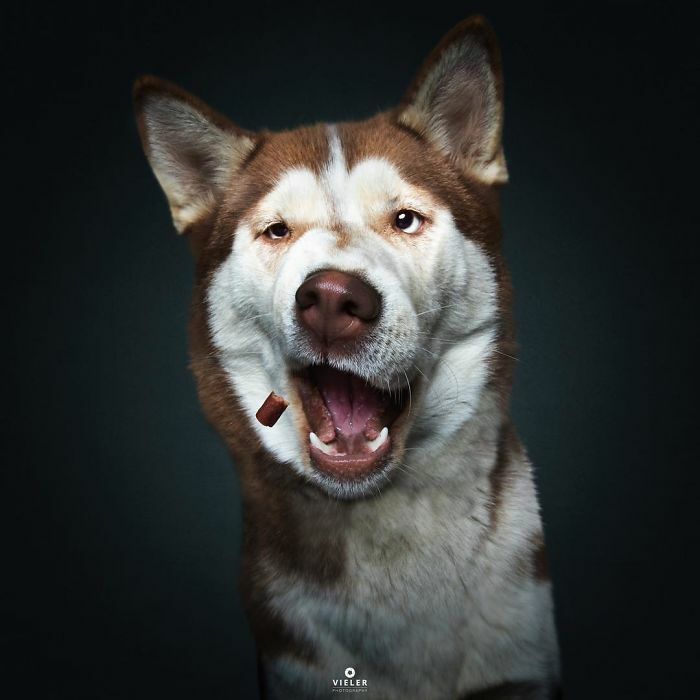 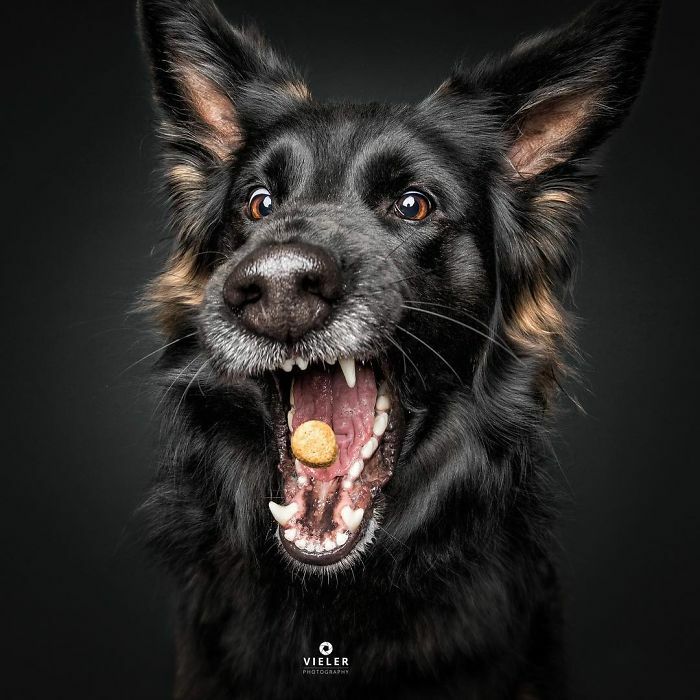 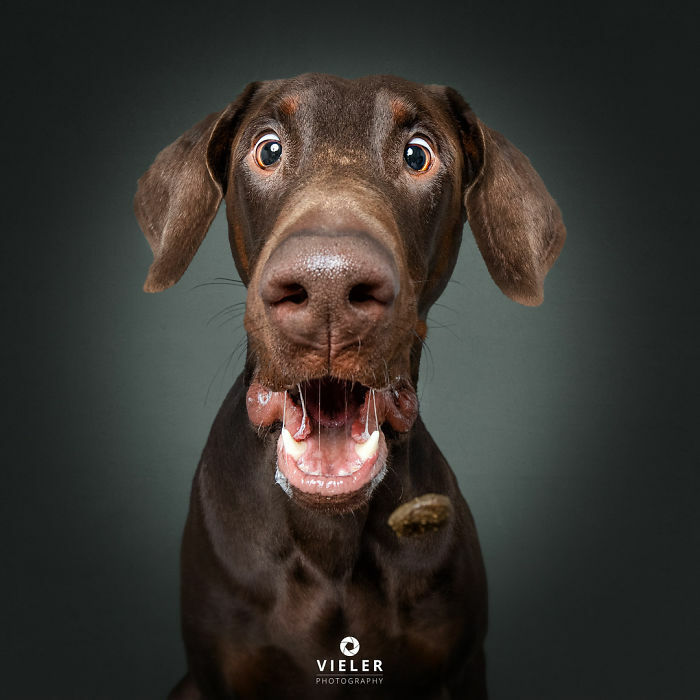 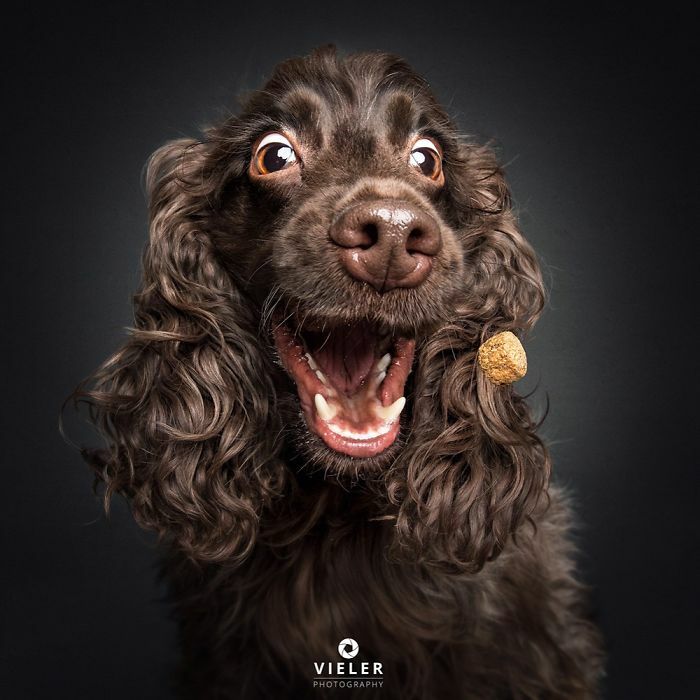 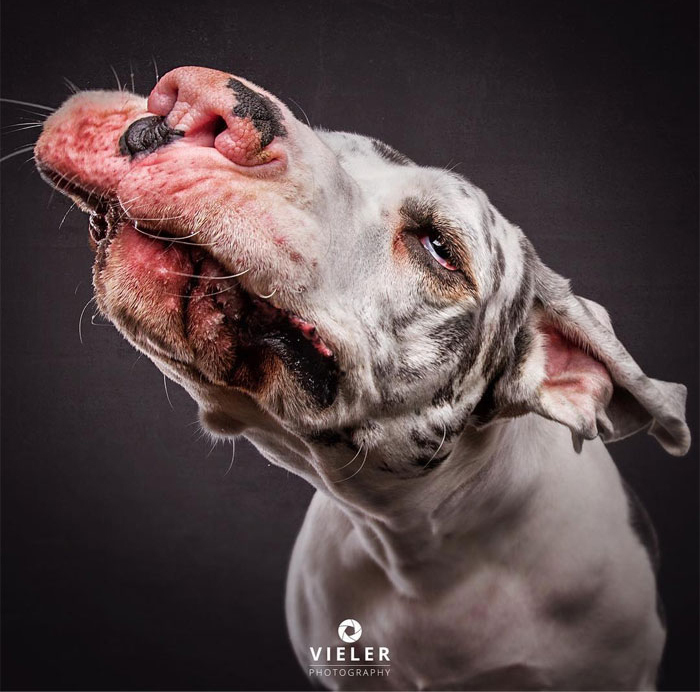 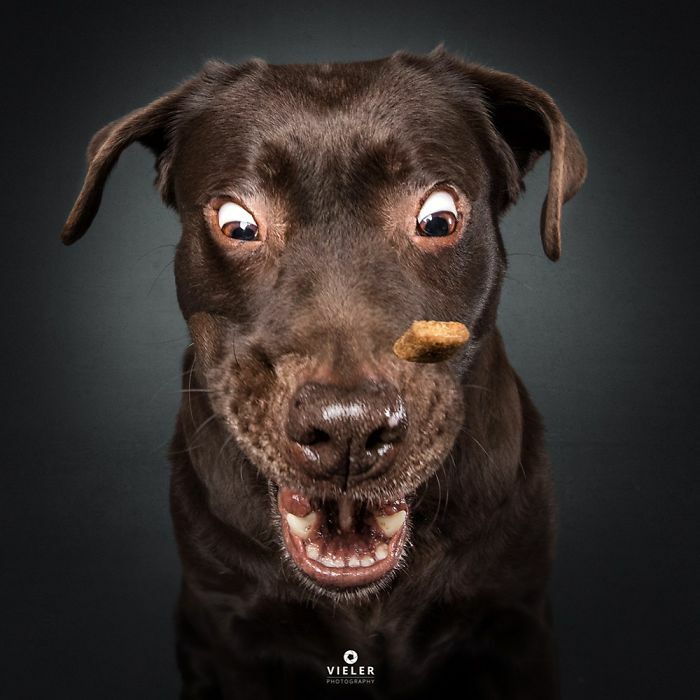 Vieler loved the result so much that he started to photograph other dogs catching treats.